Walmart Shopping Secrets: Walmart Will Now Buy and Sell Used Video Games! The mission of Grocery Shop for FREE at The Mart is to help you spend as little as possible on the things you need at Walmart. While this blog focuses mainly on couponing, there are many other ways to save and to get the maximum amount for the money you spend. To that end, we are starting a new series that will cover some of the non-coupon related things that will help you on your shopping trips. I hope you enjoy these Walmart Shopping Secrets. 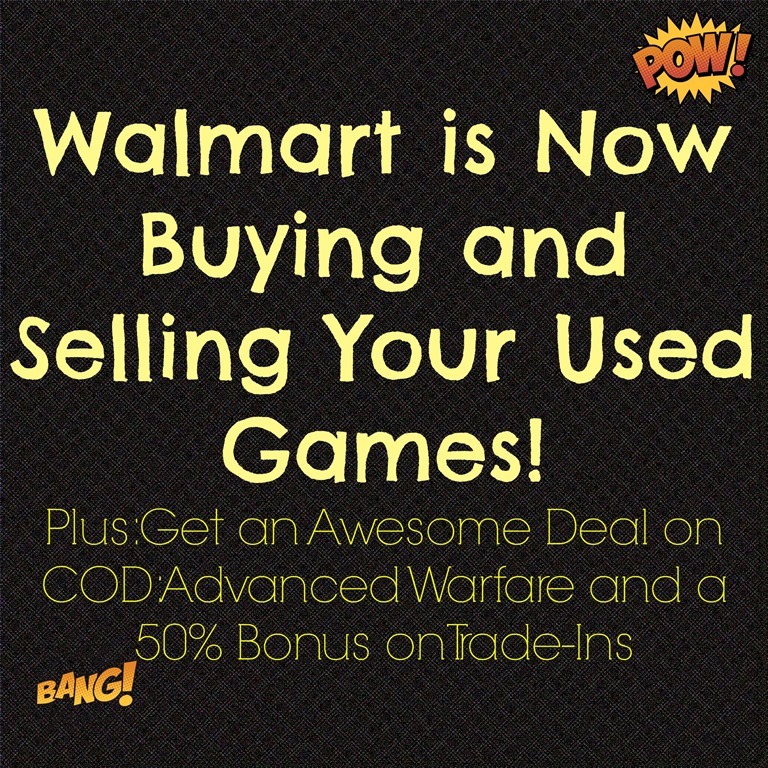 Walmart is Now Buying and Selling Used Video Games! When my kids were growing up, I can remember taking MANY trips down to the local GameStop to pick up a cheap used game for the kids. It was a great way to save money and we could get rid of the games we were no longer playing. Now you can do that at your local Walmart or at Walmart.com! You can go to the Walmart.com Exchange page, type in the game you want to trade in and it will tell you how much you can get for your games. You can do it all online and they will send you a Walmart Giftcard for that amount, or take it to your local store and get your giftcard immediately. Walmart will also start selling used games in select stores. There are also ways to trade in other electronics like phones, tablets, MP3s and more. You can see more info on that here. Now here is the really awesome news to get you to use this service. You can get Call of Duty: Advanced Warfare a day early exclusively at Walmart. The “Day Zero Edition” will be available starting at 12:01 a.m. local time on Monday, Nov. 3 in more than 3,600 stores. Walmart will also offer a 50% bonus on trade-ins for customers who purchase the game so make sure you take every used game you have in to the store with you to maximize your savings!